PEMCO World Air Services (PEMCO) has redelivered its second 737-300F (MSN 25124) to Europe Airpost (EAP). This latest Quick Change (QC) to Full Freighter modification was completed under a two aircraft agreement with an option for a third. All modifications were accomplished at PEMCO’s Tampa facility. EAP has been a premier PEMCO customer for many years. 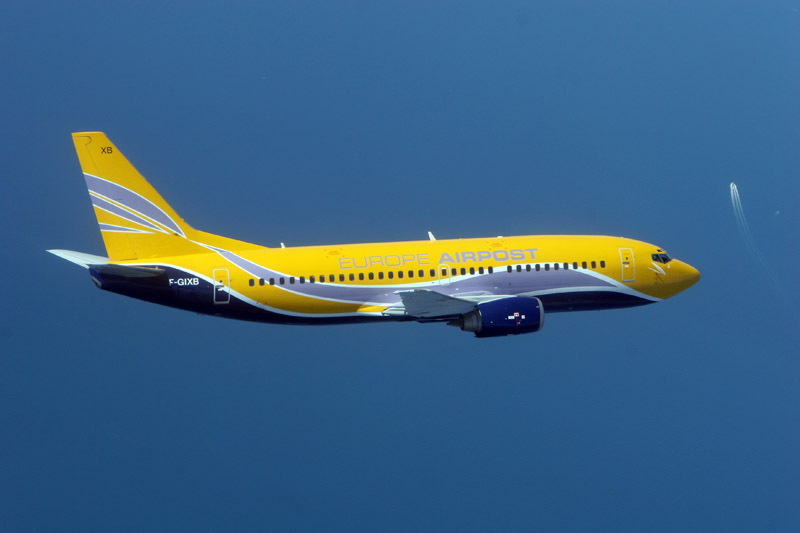 While PEMCO’s original contract with EAP consisted of the conversion of B737-300 aircraft from passenger to QC, EAP’s requirements changed and PEMCO responded accordingly. The first two -300 QC to full freighter modifications (MSN 24789, MSN 25124) were completed during Q4 2014 and Q1 2015. PEMCO’s latest EAP redelivery – a 737-300F – offers nine pallet positions (88×125”, 88×108) capable of up to 43,100 lbs. of payload and 4600 cubic feet of total volume. Like the 60+ customers before them, EAP selected PEMCO’s passenger-to-freighter conversion for its superior cargo door and loading system, unparalleled operating economics and unrivaled two million hours of safe, reliable operations. PEMCO’s B737 freighter conversions are the world’s only 737 conversions designed, built and supported with genuine Boeing data obtained under a full license agreement to outperform and outlast the competition.